At one end of the scale is the shareholders agreement which you can download from the internet. These documents are often offered free of charge, or for less than a few hundred dollars. These documents are usually fairly good for what they are, in the sense that they are often (but not always) well-written by experienced and well-trained commercial lawyers. However, just because they are good documents does not mean that they are right for you. By way of analogy, regardless of how good it is, someone else's medication is worthless to me, and potentially even dangerous. Legal agreements are no different. If you're not convinced, perhaps read the disclaimers that accompany the documents. (You may need to look at the fine print.) Invariably, the site will disclaim all responsibility in connection with the document and will encourage the user to seek their own legal advice. Download your free Shareholders Agreement Guide to get started. Again, there is probably nothing wrong with the document per se. It's just, by definition, a shareholders agreement template hasn't been prepared for you or your circumstances - meaning that it may be patently inappropriate or inadequate. That's why the document is being offered to you with so many disclaimers. It's also important to understand that the document is nothing more than a template. Commercial lawyers use a template to start the drafting process, and it's very different to the final product. Unless you're a commercial lawyer, you may not be able to tell the difference. Compounding the difficulty is that if there is a problem with your agreement, it may not become apparent until several years down the track. And if you do become aware of the problem, this is likely to be because of some difference or falling out between shareholders - being precisely the moment your agreement needs to work. If your agreement does not adequately address the issues in a way that is relevant to, and consistent with your interests, there may not be much point in signing the document to begin with. And, as noted above, you run the risk of the agreement actually doing more harm than good. How do lawyers help with shareholders agreements? Engaging a lawyer to help with the process is a very different proposition, and this is reflected in the prices they charge. the size and nature of the investments made by different stakeholders. Although shareholders agreements often cover similar territory (as explained here), there are a variety of different ways each topic can be addressed. An experienced commercial lawyer will be able to guide you through the issues, focusing your attention on the things that matter the most, and then prepare a document to suit. Where there are different shareholders with opposing interests, a lawyer can help identify, negotiate and implement solutions. Because they deal with these types of agreements every day, they will be able to help you identify and resolve issues much more efficiently than would otherwise be the case. As your lawyer comes to learn more about your circumstances through the process of preparing the agreement, he or she is also likely to offer you related advice - much of which may not be directly relevant to the agreement itself. For example, they may give you advice about personal asset structuring, succession planning or limiting your personal exposure as a director. They might give you advice about the business itself, such as corporate structuring, intellectual property protection or commercial contracts. The basic point is that the service provided by a good commercial lawyer is a lot more than the mere provision of a template. That's why one is more expensive than the other, and it's also why it's so important not to confuse the two. Most of the value of a well-prepared shareholders agreement is not obvious from the final printed version. Rather, a large part of the value lies in the journey that gets you there. Being asked to consider and address specific issues helps to make sure all parties are on the same page. This process can help build trust and can significantly minimise the potential for disputes later - which is one of the main reasons for having a shareholders agreement in the first place. If you try to shortcut this process, either by using a template agreement or relying too heavily on accountants or lawyers to make decisions for you, you run the risk of your agreement not adequately reflecting your needs. If that happens, the exercise may end up being a waste of time and expense (no matter what you spend). How much does a shareholders agreement cost if I involve a lawyer? Involving a lawyer will obviously be more expensive than other options, but it's also the option that will give you the best outcome. There is no strict guide as to how to much it will cost, as it will depend on your circumstances. It will also depend on what type of firm (or lawyer) you decide to engage. By way of illustration, if there are two experienced shareholders embarking on a small venture who already know roughly what they want and have a pre-existing relationship, there is likely to be less work involved than a situation where there are multiple shareholders with differing levels of experience, investment and involvement in the business. Your choice of lawyer (or law firm) will be an important consideration. A commercial law firm will typically be more experienced in shareholders agreements than a suburban or regional general practitioner. This difference in experience and knowledge will often be reflected in the price. As a general rule, if you're spending nothing, that's probably not enough. If you're spending many multiples of tens of thousands, you have probably gone too far. As final word of warning, be wary of any prices or quotes you receive from anyone unless they have spoken to you in detail about your circumstances. Without that information, it would be impossible to accurately assess the amount of legal work that might be needed - and ultimately, that is the thing that will be biggest determinant of the cost. 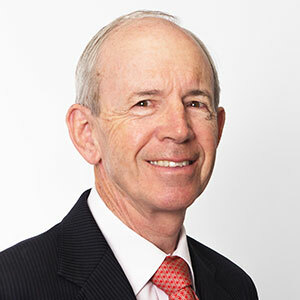 Bill is a principal at Turtons and one of Australia's most highly credentialed commercial lawyers. Bill has set up and remained involved with a number of SMEs, has served as an independent director, chairman and advisory board member.